It is strange that I was in South Africa on a training visit only a matter of weeks before the release of Nelson Mandela on 11 February 1990. I am ashamed to say that at the time I had only a vague idea of who he was and what he stood for. Moreover, what little I did know was largely inaccurate. Like many whites living in South Africa in the late 70s and early 80s, the only information I had concerning Nelson Mandela was that he was a "terrorist" - and an unrepentant one. I had heard that he had been offered chances for release on the condition that he renounce violence, but these he had refused. On this basis, his continued incarceration seemed entirely reasonable. I first arrived in South Africa on 30 November 1976, my father (a civil engineer) having gone there for work. I was to stay a total of 8 years in an environment that can best be described as "carefully stage managed": a kind of "Stepford Wives meets Truman Show" world of stately homes, manicured lawns, leafy streets and quaint, old-world mannerisms. The only non-whites in my suburb in Durban, Kwazulu-Natal were servants and day-workers. One might have been forgiven for thinking that the white population were a substantial majority. And all of these people were required to carry their hated "pass books": authorisations that constrained their travel and movement through different areas, subjecting them to random searches, detention and punishment. For us "liberal" Euro-Australians, this was a culture shock with which we could never really come to terms. The "Trumanesque" façade of South Africa was rapidly revealed for what it was: nothing but a thin, wobbly (albeit carefully painted) stage prop. It is important to note that back in the 1980s the only official news the populace was intended to receive was that which was State-sanctioned - ie. the SABC's nighly television news bulletins and the heavily censored print media. Yes, like many of my "liberal" friends, I listened to the "pirate" radio station Captial Radio 604, broadcasting out of Nelson Mandela's home territory of Transkei (then an "independent homeland"). But even there I noted that the likes of President Ronald Reagan and Prime Minister Margaret Thatcher had labelled Mandela a terrorist. I'm ashamed to say that the label stuck (even though, via Capital Radio, I often listened to songs like "Free Nelson Mandela" - otherwise banned on TV and radio). Yes, in the years after I returned to Australia in 1985, I gradually became aware of Mandela's significance as a political figure. Gradually I came to see him not as a terrorist but as a moderate. But it was only while watching the news footage of Nelson Mandela's release - and hearing his inspiring speech - that made me see his true significance, worth and nature. He stood for the noble ideals (formed during the French Revolution) of liberty, equality and, above all, fraternity. More than that - he fought for these. Accordingly, Nelson Mandela was never a "terrorist". He was a freedom fighter - in the truest sense of that term. And in respect of the latter, he was arguably the greatest fighter the world has ever known. Why do I say this? 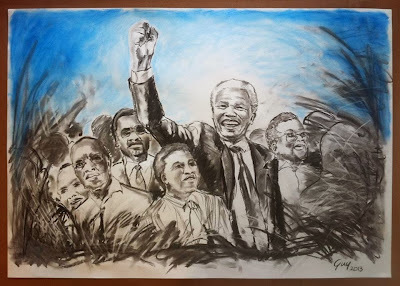 Today, we might know Mandela as a figure of peace and unity. We might know him as a genial, kind and wise man. But it would be a mistake to consider these qualities as those of a pacifist. I don't think there is any doubt that Mandela genuinely possessed the peaceful qualities with which he is now associated. But this does not alter the fact that he used these qualities to achieve a victory that needed to be achieved. He used his qualities of forbearance, forgiveness and inner strength as weapons in a fight against that which was truly evil. And he triumphed. "Budo [the way of the warrior] is not a means of felling the opponent by force or by lethal weapons. Neither is it intended to lead the world to destruction by arms and other illegitimate means. True Budo calls for bringing the inner energy of the universe in order, protecting the peace of the world , as well as preserving, everything in nature in its right form." I believe Ueshiba understood the universal truth that while we may win battles, no one wins a war. Rather, one can only ever win peace. Ultimately, "ai" - harmony - is what is needed to win peace. It is my view that this is simply a restatement of the Daoist principle of wu-wei of which I have written previously. Like all the great warriors, Nelson Mandela understood wu-wei as the cornerstone of effective fighting; that grounding oneself is more important than uprooting others. And that the quality of "nin" (endurance) - ie. strength of will and character - is the foundation that supports this principle. 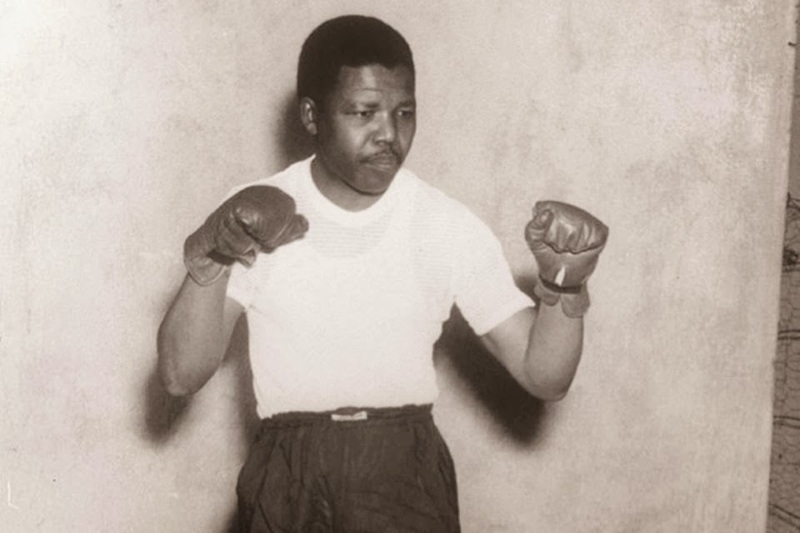 And no, Mandela's refusal to renounce violence was not inconsistent with this: like any warrior following wu-wei, Mandela reserved the right to violence as a last resort - as a regrettable necessity. In the end, he didn't need it at all. As you might know, this blog is named after the principle of wu-wei. To me, Nelson Mandela was its greatest master. And so I write this essay in his honour. Goodbye Tata.4 The world is a poorer, weaker place without you in it. 1. On my graduation from high school, I arranged for a retirement gift for the head janitor, a dignified and elderly Zulu. We, the graduating students, gave him a gold watch. He accepted this gift graciously and chatted to me afterwards about his life. I was stunned to learn that he had a family in northern Zululand - a wife and 4 children - whom he had only been able to see once per year for the previous 30 years. He needed to work and send money home. The only stable work he could find was at our school. His wife and children were prohibited from joining him due to the pass laws. And so he had lived the bulk of his adult life separated from those he loved the most. 2. One of my best friends (whose father wrote "banned" or heavily censored novels with an anti-apartheid message) had his telephone tapped by the secret police. My parents met his only once - after which we were warned to keep our distance or we too would be under surveillance. My friend's elder sister was subsequently arrested and detained for "suspected breaches" of the notorious "Immorality Act" (ie. for daring to have an inter-racial relationship). 4. The word "tata" means father both in Xhosa and my native Serbian. I use it to show both respect and affection.